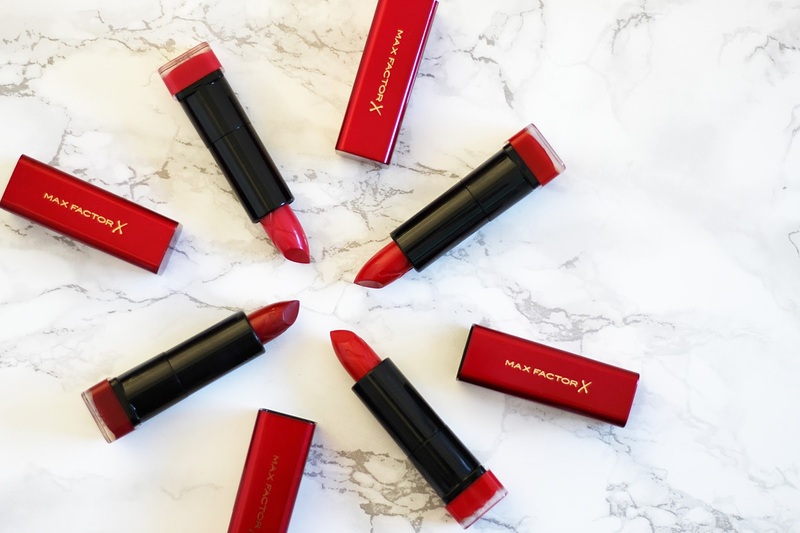 I'm a big fan of a red lip, so when I heard about the new Max Factor Marilyn Monroe Colour Elixir Lipsticks, I couldn't wait to put them to the test. Released back in January in order to kick the year off to the most glam start possible, the four new shades of rouge lipstick have been individually formulated to match every skin tone, with an easy application and moisturising, long-lasting finish. 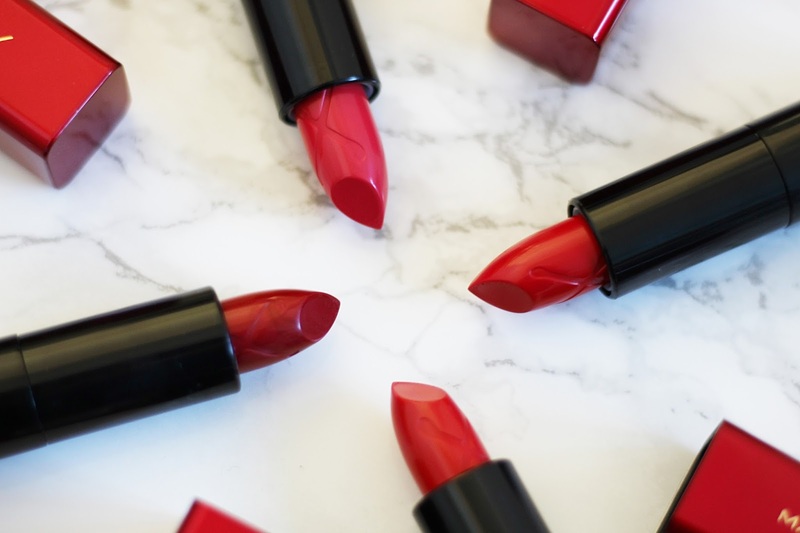 I have a lot of red lipsticks in my collection since becoming a bit pillarbox red obsessed back when I was a teen, so I was excited to see how these compared to my mix of drugstore and high-end red lippies. 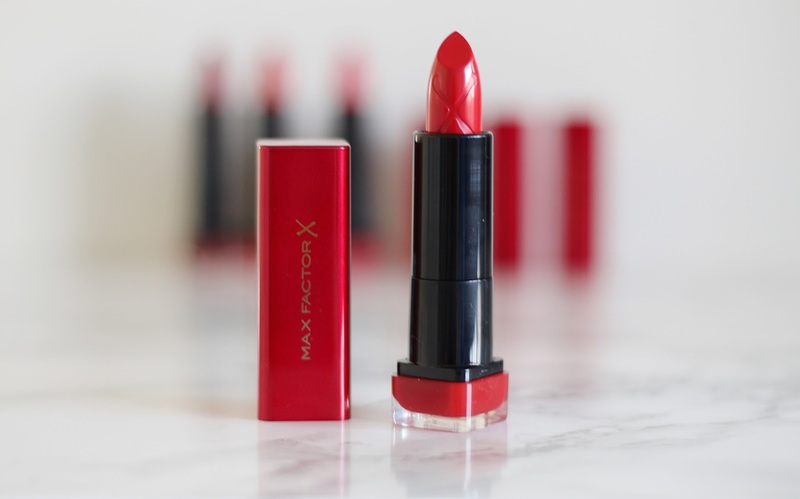 The packaging is the usual Max Factor style - glossy yet practical with a red theme going on to match the lipsticks themselves. 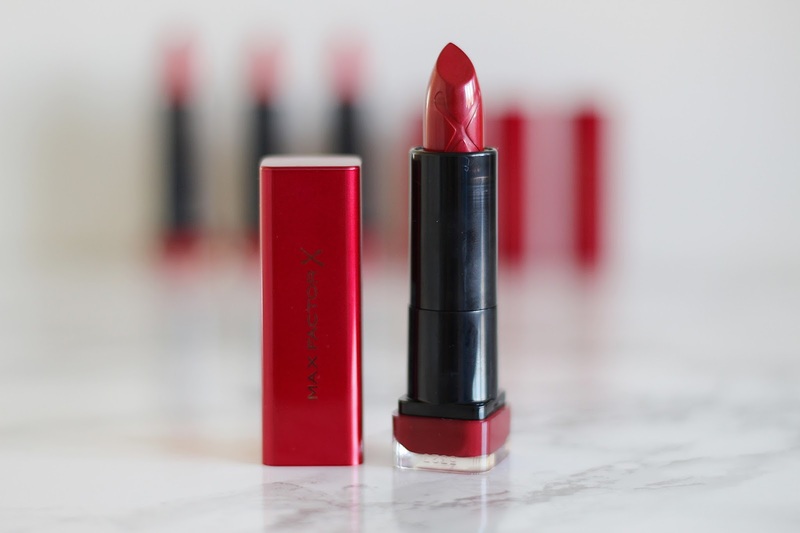 The four shades in the collection are Berry Red, Cabernet Red, Ruby Red and Sunset Red, and I definitely think they've established the perfect mix of all the kinds of red lipsticks you'd want from a Marilyn collection. 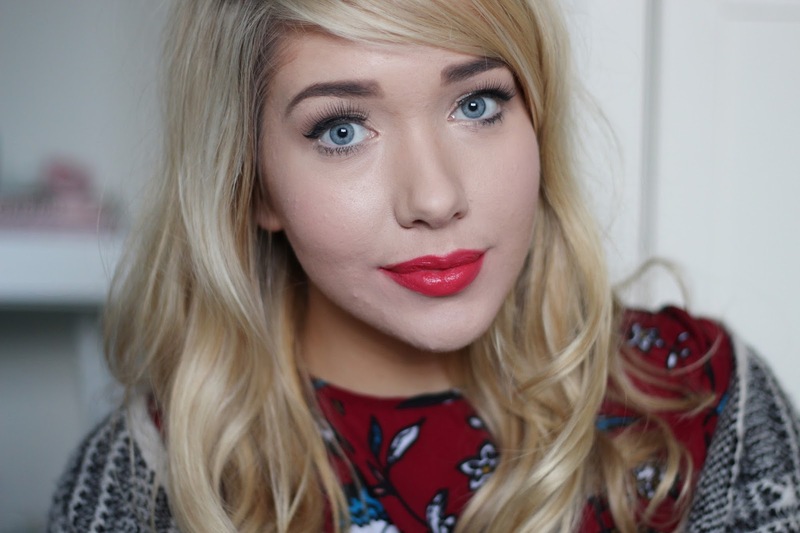 Probably my least favourite of the bunch, Berry Red has quite blue undertones, making it ideal for pale and cooler skin tones. 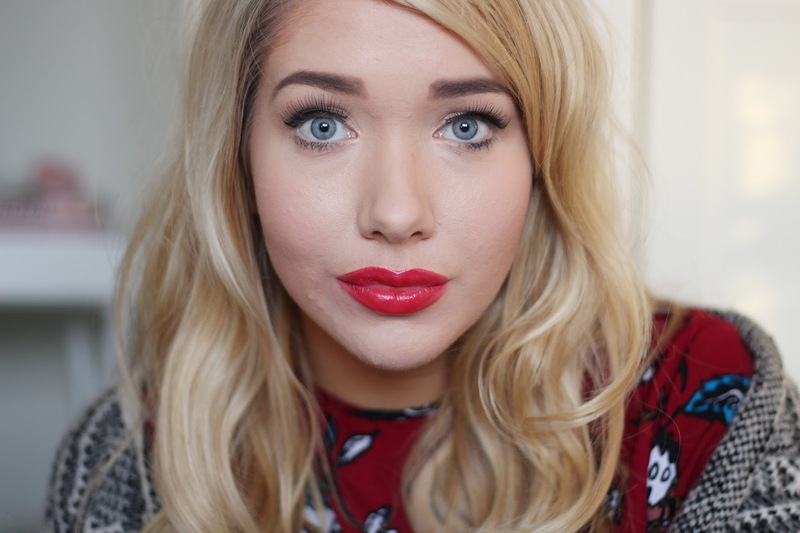 It's quite a neutral, every day wearable red that I thought would suit me best but actually I felt washed me out a bit. The formula is great though and as you can see, really glossy. 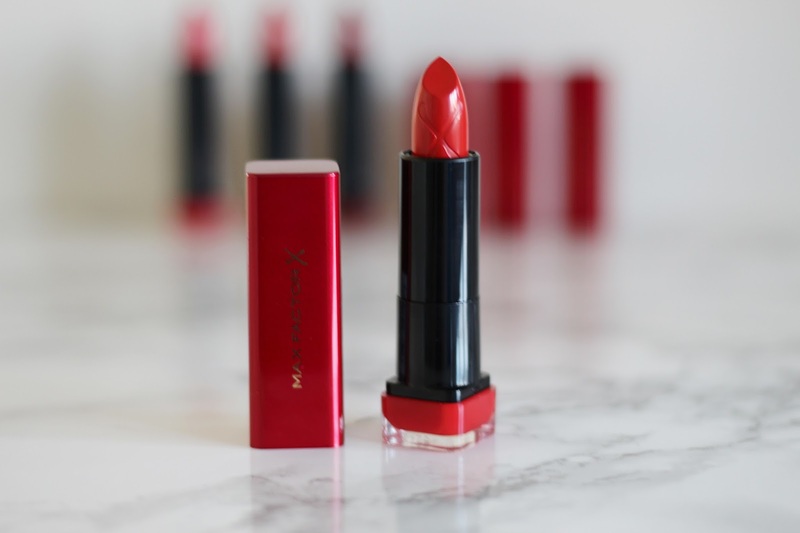 Quite possibly my favourite of all the shades, Sunset Red is the ultimate orange-based red, ideal for warm, tanned or olive skin tones and one I can see me reaching for a lot over the summer. The gloss on this one is probably the best of the bunch and the colour pay-off is amazing too. Lots of love for this shade. The original Marilyn shade, I had high hopes for Ruby Red and was left a little bit disappointed that, on me, it didn't pack a bigger punch. 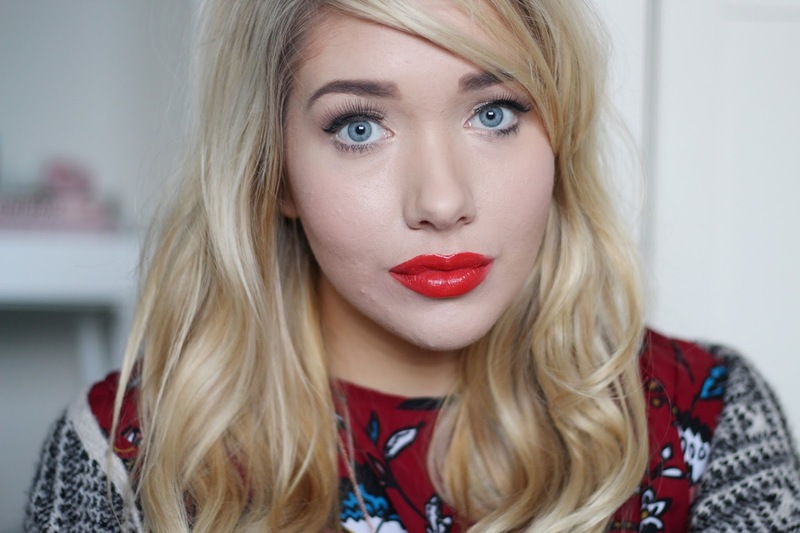 A lovely red nonetheless, it applies beautifully and is probably the most 'one size fits all' shade of the lot, that would look as lovely on a pale gal as it does on something with a much warmer skin tone. Finally, the ultimate femme fatale shade, Cabernet Red is a deliciously dark glossy rouge that would be perfect for the evening, with purple undertones and so much glossiness. I think this is probably my second favourite of all the shades, just because it's such a glamorous colour that screams Marilyn Monroe to me. 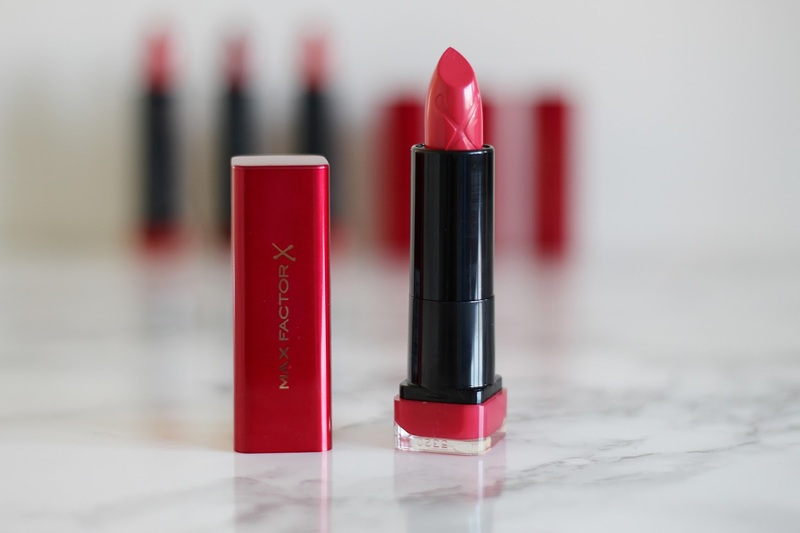 Overall I absolutely love the new Marilyn Monroe lipstick collection from Max Factor and would completely recommend checking it out if you're looking for a red lipstick that is super moisturising, seriously glossy and comes in the perfect shade for your skin tone. 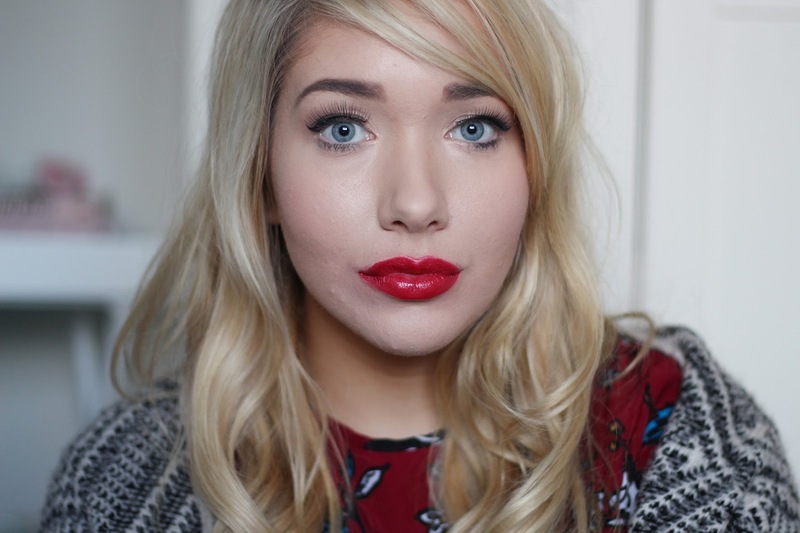 What more could you want from a lipstick? !